Tic tac toe game with criss cross and heart sign mark. XOXO. Hand drawn brush. Happy Valentines day card. 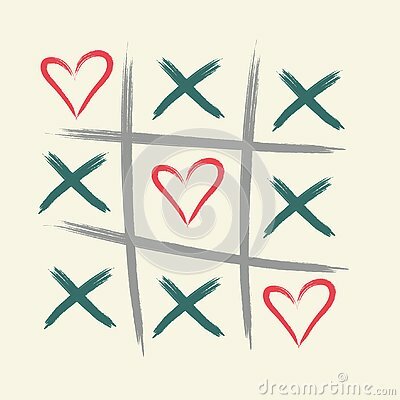 Hand drawn tic tac toe game.Happy Valentines day illustration. Love game. Toe and diagonal of hearts. Hand drawn brush.